“Tonight’s agenda allows time for the Board to hear public input on the district’s plan to right-size our buildings. This is the only topic the public may speak on tonight. If you wish to speak, please approach the podium and sign in. You will be allowed three minutes to make your comments. Of course, normally to discuss the issue- the public and the board would be provided with the “Superintendent Recommendation for Rightsizing District” first- but, no, no slide deck, no analysis. Pop it up just before- ask for input at this meeting- and vote on it the next week. This is not how a professional organization does it. Of course, they are in total denial about their breaking of the Sunshine Laws on this issue- which I warned them about and filed a lawsuit. On Friday, the judge set a court date of July 11, 2018. He promised a ruling on if he would block them from taking action on closing until the resolution of this lawsuit by Monday, March 19. In other news from circus central- Acting Superintendent Libby Lolli is poised to hire Carolyn Mack, wife of former Superintendent Percy Mack, away from her former district, Middletown, as the new head of Professional Development- at $116,000. Didn’t we learn from Rhonda Corr about hiring former “teammates” already? Corr hired Markay Winston, who later ended up ending Corr’s career here. Considering Lolli has managed to escape any responsibility for the Dunbar basketball fiasco- and the fact that firing LaMark Baker is going to be complicated by failures to properly document all his mistakes under her and Marsha Bonharts watch- sets up the board to rush to give Lolli a contract that they will later regret- the same way the last board renewed Corr’s contract prematurely. In other news- assistant treasurer Brennon “time clock” Hattery, has resigned, leaving an already rickety treasurers office even more short staffed. Word is there are a lot of people being looked at for termination, non-renewal, yet, the one senior staff person who seems to survive crisis after crisis- remains like a cockroach after a nuclear Armageddon. At this point 3 principals are on the chopping block and a top level administrator is planning on leaving the district after just a few years to go back to where he came from. The scenario isn’t good, and the interim Superintendent seems incapable of stopping the non-stop flow of bad news and trauma to a district that is already wounded. This board is still in its infancy. It will be amazing if it learns to walk before the State steps in and says enough is enough. 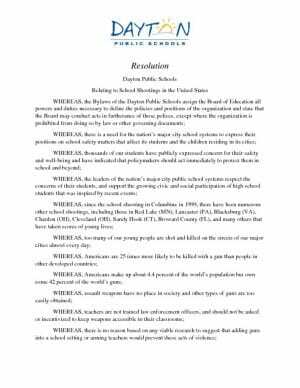 And, as if school closing isn’t enough- they are planning on adopting a resolution on school shootings calling for banning assault weapons. Just to bring out a whole other group of citizens to cause confusion on the 20th. One last prediction: OHSAA will throw Dunbar out of high school sports, as they can’t keep putting resources into trying to police those who refuse to follow the rules. The district will try their hands at the courts again- and the entire district will find itself out of High School athletics. Please prove me wrong on this. Another sensationalized editorialized article from the ‘Info Wars’ of Dayton Ohio. One has to ask why this blogger with his minimal followers doesn’t actually do something to come up with positive change. I still do not believe he does anything in a selfless manner, I believe it is solely ego driven. If his intentions were selfless he would be out in the public trying to come up with legitimate solutions for the ‘problems’ he sees in the district. Instead we have this man embarrass himself by just barking out the most naive and ignorant forms of management: Fire everyone. You can’t just continue to fire people. There’s a reason why you are a ‘loser’ in the election to public office arena… you have no solutions but to fire. As always, I enjoy these articles as they are nothing more than humorous.